"an empowerment based membership program". "is to empower our members and through them we empower people around them by just introducing them to WC CONNECT". So are there any products? They make it clear that there is "NO BUYING" and "NO SELLING". They also claim that it's "easy for its members to own houses, cars, laptops, mobile phones and many more without paying a coin. Its all free from WC CONNECT.You stand a chance to own a Brand new bungalow worth $140,000”. So it's a pyramid scheme. “a remarkable investment platform with an outstanding track record of 2 years for delivering best of class investment solutions and endless income-generating opportunity”. They promised returns of between 2.5% and 4% every day, claiming there was some connection with investments in Bitcoin, gold or oil. In fact, Vortex Profits was nothing but a scam and many people in Botswana lost lots of money. In order for this to take place, the advertisement states that victims must send $25 to the organisers by Payeer or Moneygram. This is a scam. 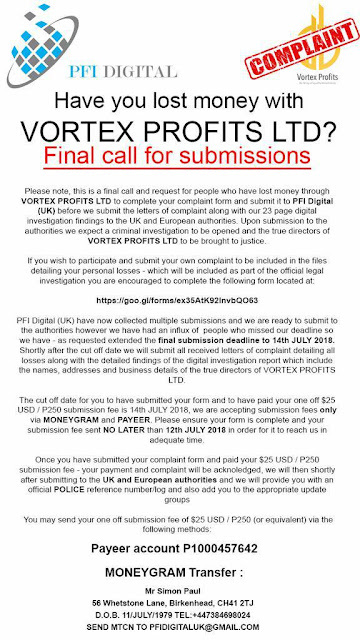 Despite suggesting that this is a company registered in the UK "PFI Digital (UK)" no such company of that name is currently registered in the United Kingdom. Furthermore, they offer no more than a Gmail address and a cellphone number. 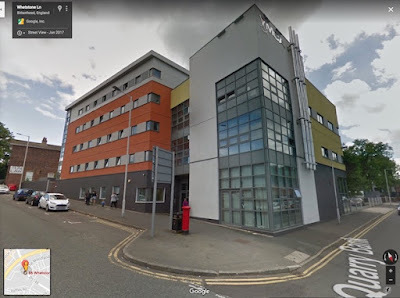 The address they give, "56 Whetstone Lane, Birkenhead" in the UK is actually the address of a YMCA building. 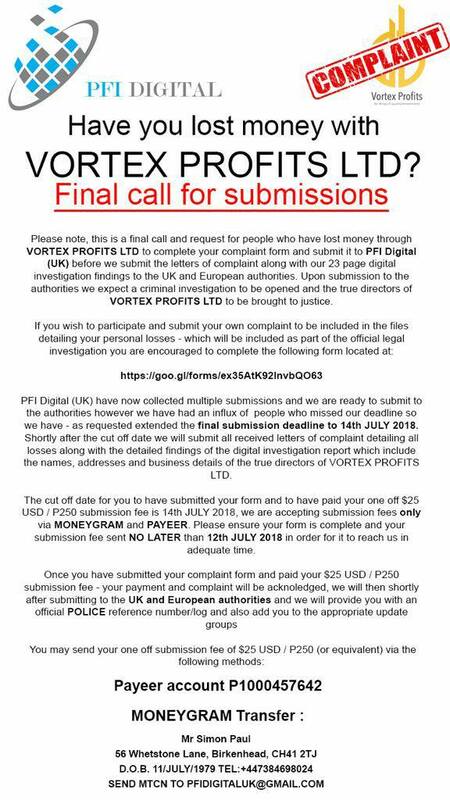 All of these facts confirm that this is a particularly shameless scam that is trying to exploit the victims of the previous Vortex Profits scam. Consumers are urged not to send any money to these scammers. 3. Policy values and "front-loading"
A consumer started a retirement annuity policy on 1st April 2017. She received a statement showing the state of the policy at 31st March 2018. This showed that she had paid premiums totalling P20,000 but they had deducted "Admin expenses" of P14,000 leaving a policy value of just P6,000. She asked if this was normal? This is sometimes called “front-loading” and often happens with any investment of savings policy that is meant to last for many, perhaps 10 or 20 years. The sales agent or broker who sold you the policy don't want to wait for 10 or 20 years to get their commission of administrative costs, they want it now. That's why the fees are deducted from the policy value in the first year. A year or two later the premiums will have caught up with the deductions and it will start to accumulate real value. remember that these policies are for many years, not just for a short time. The problem is that the sales agents and brokers sometimes forget to explain this. That's where action is needed. 4. Should I tell them? Talk to them! Arrange a payment plan that you can afford and they can accept. They don’t want to go to court. I suspect that the insurance company might use this as an excuse not to compensate you. My advice is to go quiet and don’t draw attention to yourself, maybe you’ll be lucky! Yes. The person who causes an accident pays to fix the damage caused. Insurance policies only benefit those who pay for them. If your brother had his own vehicle insurance policy it would have paid the bills. Now he's going to need to find the money himself from somewhere. This is a very good example of why third-party vehicle insurance should be compulsory.